After breaking our nearly four-week drought without a 3-timer, Dava-Leigh goes for number four. Will she get it? She’ll need some help here tonight – but then again, she’s no stranger to the come-from-behind win. 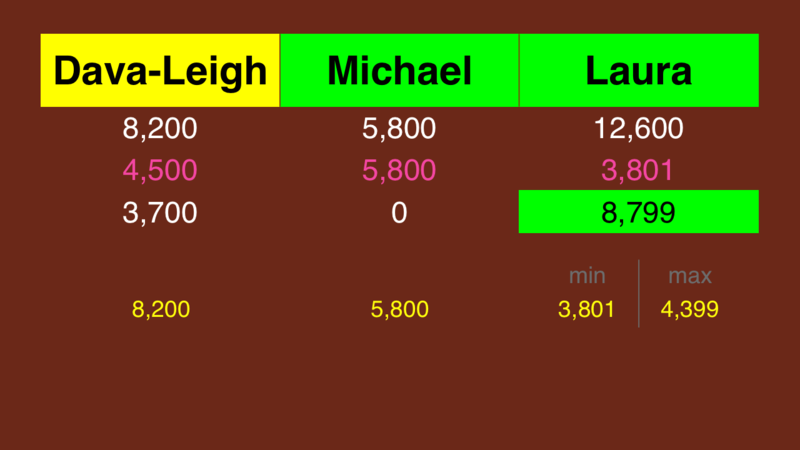 If Dava-Leigh doubles her score, she’ll have 16,400. 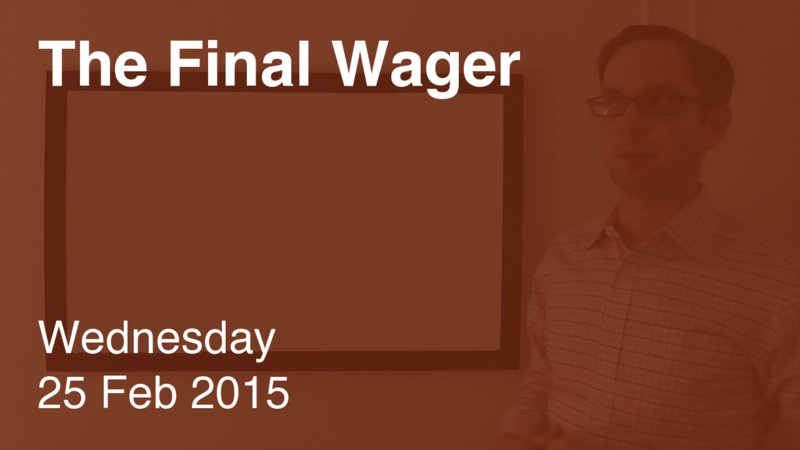 To cover this all-in wager, Laura will need to wager 3,800. An incorrect response with that wager will leave Laura with 8,800. Both Dava-Leigh and Michael must respond correctly to have a shot, so they might as well wager everything. 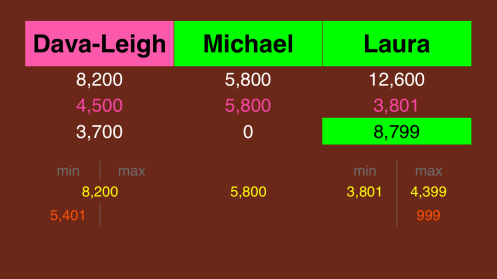 Had Dava-Leigh responded correctly, she would have left $3,700 on the table. That’s one reason I suggest players wager everything if they must respond correctly to win. The other: the possibility for a math error. The most famous example came in the Season 19 TOC Finals, when Brian Weikle miscalculated by $200. I realized after originally publishing this that Laura has another somewhat-reasonable wager: 999, keeping her ahead of Michael regardless of what happens. She might consider this if she feels completely unconfident in the category. Since Dava-Leigh’s wager fails to take this possibility into account, she should actually get a pink. I have some thoughts on the Final clue, too – they’re in the spoiler box below. What are Louisiana and Maine? Is it a well-known fact that Maine has a lot of French speakers? (Apparently, it’s a dialect called New England French.) I suppose it makes the most sense because it shares the longest land border with Québec of any state. I guessed Idaho as the second one, because it is full of names like Coeur d’Alene and Boise (pronounced bwozz if you are a French speaker).